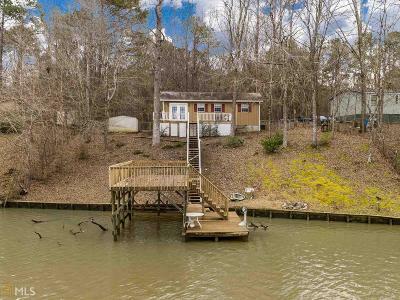 PRECIOUS AFFORDABLE LAKE COTTAGE - SINGLE BOATHOUSE - FEE SIMPLE - SITE BUILT - GREAT LOCATION. This 2 bedroom 1 bath cottage is adorable. Functional floor plan with great lake views. Mountain/lake feel gives the best of all worlds. Nice lake side deck spanning home. Upper party deck on boat house. Home sold mostly furnished.